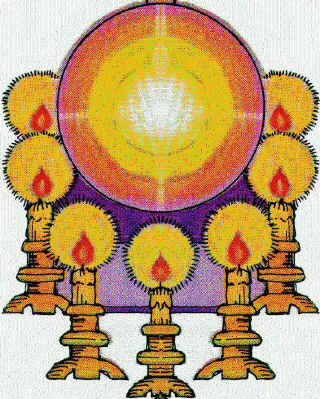 In the opening letter to the church at Ephesus, Christ is pictured as walking among the seven lampstands, which represent the seven churches (1:20-2:1). This corresponds to the fact that he is the leader of the church and is its Savior (John 10:28). Perhaps there is an allusion here to Genesis 3:8, where the Lord is walking in the Garden of Eden with the man and woman he had created. In each case, the Lord seeks a personal relationship with his people, and wants to interact with them and be their guide. The statement about Jesus walking among the candlesticks recalls an Old Testament promise: “I will walk among you and be your God, and you will be my people” (Leviticus 26:12). 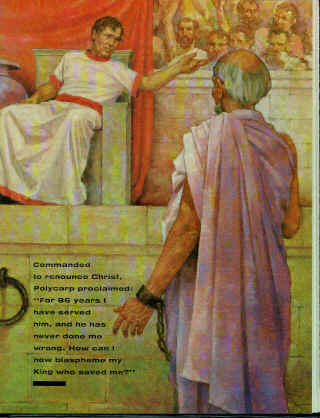 This promise to ancient Israel is now made to the church, the new Israel (Galatians 6:16). Each letter is introduced with Christ’s assertion, “I know…” (2:2, 9, 13, 19; 3:1, 8, 15). Christ is aware of the distresses and persecution the church members may be suffering. He also knows what they have achieved and where they have fallen short. The church at Ephesus had endured in the faith (2:2, 4). They had suffered for Christ’s name and had not grown spiritually tired. The church had also suffered the assault of false prophets trying to foist off heretical teachings. The false teachers who tried to infiltrate the Ephesian church are identified under two categories. They are “those who claim to be apostles but are not” and the Nicolaitans (2:2, 6). Neither group’s practices or teachings are specifically identified. The latter group will be mentioned again in the letter to the church at Pergamum (2:15). The Ephesian church apparently was diligent to eliminate false teaching, before and after John’s day. Assuming the late date for Revelation, about twenty years after the book was written, Ignatius praised the church in Ephesus for rejecting those who spread heretical doctrines (Ignatius, Ephesians 9:1; cf. 6:2; 7:1; 8:1). Ironically, the Ephesian church and its leadership may have gone too far in rooting out heresy. There was a spiritual problem in the church described as a forsaking of “first love” (2:4). This is usually taken to mean the church members’ love for one another. This is an important lesson to all Christians. While doctrinal purity is important to the Christian faith, it can unintentionally lead to witch hunting and condemning spirit. We can defend the faith only if we first remember to defend love for one another (John 13:34). Since the Triune God is love in his essential being, Christians will reflect that love as they have been spiritually transformed by the Holy Spirit. The church was admonished to listen to what the Spirit of God in Jesus Christ was saying to Ephesus (2:7). The fact that hearing rather than reading is emphasized infers that Revelation was designed to be read out loud in public worship. The churches were to listen to “what the Spirit says to the churches” (2:7). Yet, it is the glorified Christ who is pictured as speaking in these letters. Christ and the Spirit are equated. When the Spirit speaks, it is Christ speaking. This recalls the words of Paul, who said, “The Lord is the Spirit” (2 Corinthians 3:17). That is not to imply a heretical modalism, where it is claimed that there is no permanent distinction between the three persons of the Trinity. The Persons of the Trinity are distinct, as the New Testament revelation of God’s nature makes clear. But each of the three persons has an intrinsic interpersonal relationship in triunity. Thus, there is one God whose three Persons are together involved in our salvation. As does each of the letters, the one to the Ephesian church concludes with a note of victory and a promise to those who overcome or conquer. The conquerors in Christ in these churches are not to overcome an earthly foe by human force or will. Their struggle is more cosmic and more personal (Ephesians 6:12). They overcome the world by conquering themselves in and through the overcoming victory that was Christ’s (Revelation 2:26). The church’s victory parallels his victory – the eternal victory of the Lamb of God who overcame by living and dying in faith (3:21). The overcomers at Ephesus are promised the gift of eternal life. The symbolism of salvation for the Ephesians is “the right to eat from the tree of life, which is in the paradise of God” (2:7). These symbols stand for eternal life in the kingdom of God. The tree of life symbol is used again at the end of Revelation (22:2). Both symbols go back to the beginning of the Old Testament. The centerpiece of the Garden of Eden was the tree of life, a symbol for eternal life (2:9). This is an illustration of the unity of the two Testaments in their presentation of the gospel. If Genesis 2-3 describes a Paradise Lost to Adam and Eve because of sin, then the book of Revelation promises a Paradise Regained through the blood of the Lamb. The church resurrected to life (the New Jerusalem) will receive salvation (eat fruit from the tree of life) in the Lamb’s eternal kingdom (the Garden of Eden and Paradise of God). The church at Smyrna was a suffering church (2:8). It was warned about an impending persecution and that some of its members would experience martyrdom (2:10). The church in Smyrna would soon be persecuted and martyred by Jews and heathens. This would happen for “ten days” (2:10). Most commentators take that figure to mean a short but definitely limited period of time. Christ’s introductory title as the One “who died and came to life again” would be encouraging to these potential martyrs (2:8). The church members at Smyrna could face martyrdom in full confidence. They would be resurrected to eternal life by the one who himself was victorious over death through a resurrection. The members at Smyrna were poverty-stricken people. Yet, Christ says they were spiritually rich (2:9). The contrast with Laodicea is significant. The Laodicean church assumed it was rich, but it was spiritually impoverished (3:27). The church at Smyrna apparently suffered at the hands of a group “who say they are Jews and are not, but are a synagogue of Satan” (2:9). These Jews thought they were the people of God but were actually the representatives of his adversary (John 8:31-47). 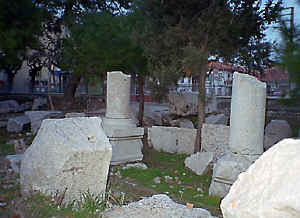 The people referred to were probably Jewish citizens of Smyrna who opposed the church. They may have been pressing the local government to take action against the Christians. Why are these people said not to be Jews? They were Jews by race and religion. But they were not spiritual Jews, in the sense that the New Testament defines a Jew. Paul made the point in his writings: “A man is a Jew if he is one inwardly; and circumcision is circumcision of the heart, by the Spirit” (Romans 2:29). The church saw itself as the Israel of God, the “true circumcision” who worshiped God in Spirit and put its faith in Jesus Christ (Philippians 3:3). The church at Smyrna would receive the “crown of life” (2:10). The crown here is stephanos in Greek, not the diadema, or royal crown. The stephanos was the victory wreath or trophy awarded to the winner of the games. A Roman magistrate who performed well also received a stephanos at the end of his term of office. In like manner, Christians who serve Christ will receive the victor’s crown in that they conquer the world in Christ, the Lamb, and the victory is modeled in their faithful service to him (1 Corinthians 9:24). The overcomers in the Smyrna church will not be hurt by “the second death” (2:11). Revelation identifies the second death as the lake of fire (21:8). It is the second or eternal death. This death has no power over the faithful who have a part in the resurrection (20:6). Christ introduced himself to the church in Pergamum as one who has the sharp, double-edged sword (2:12). This was another reference taken from the “One Like a Son of Man” image in chapter one (1:16). The sword is symbolic of the penetrating word of God (Hebrews 4:12-13). More precisely, it is the discerning aspect of the word that “judges the thoughts and attitudes of the heart,” and from which nothing in creation is hidden. This would have had great meaning in reference to where the members of the Pergamum church lived – in a city filled with the splendor and power of false religion. The church was reminded that Pergamum’s power structure had wrongly judged or condemned Antipas, a faithful witness, and executed him (1:5). But God will judge the world system itself in opposition to God, of which Pergamum’s power center partakes. 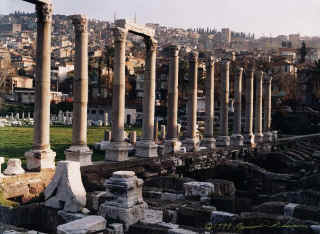 The religious climate at Pergamum was not conducive to the Christian life. That’s because “Satan’s throne” was in the city (2:12). 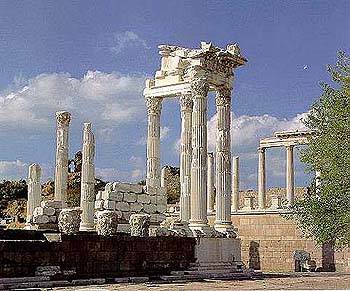 While the phrase has received differing interpretations, it probably refers to Pergamum as a major center of pagan religion, especially the imperial cult. The city symbolized secular power and civil religion working together to do something Satan wanted. While the church in Pergamum was assaulted from the outside, it also faced serious internal religious deception. This is described as the teaching of Balaam and the Nicolaitans (2:14-15). Revelation’s use of the Balaam typology underscores the book’s reliance on Old Testament symbols. Balaam’s story is found in Numbers 22-24. He was a prophet who manipulated Israel into falling under God’s curse. Balaam’s motive was personal gain (2 Peter 2:15; Jude 6). He had been offered riches and power by Balak, a gentile king, to destroy God’s people, Israel. The prophet found a way to accomplish the king’s desire. 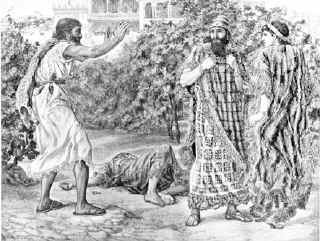 Balaam devised a plan whereby he caused the men of Israel to commit sexual immorality with Moabite women and to sacrifice to their gods in a community meal during a festival (Numbers 25:1-2). Thus he led Israel into sin by causing the nation to accommodate itself to idolatrous pagan religion and its immortality. Balaam came to stand for an evil individual who seduces God’s people into sin. But in what sense were members of the church committing sexual immorality and eating food sacrificed to idols (2:14)? It is generally thought that this phrase refers to food eaten at festivals in which pagan gods were honored, as well as the sexual activities that may have gone on as part of such feasts. However, both expressions could also be understood metaphorically. That is, they would refer to general religious infidelity engaged in by Christians who participated in pagan rites and festivities. Both a literal and figurative meaning may be in view here in Revelation. Since sexual immorality was sometimes associated with worship in pagan religion, Christians would be taking sexual license as well as committing religious infidelity if they participated in the religious practices of the city. Revelation does not reveal the specific identity of the Nicolaitans, nor does it define all their beliefs. Irenaeus and other early church leaders claimed that the Nicolaitans practiced unrestrained indulgence (Against Heresies, 1.26.3). the Nicolaitans would have taught loose morals, probably under the guise of a deceptive theological rationale. Following the teaching of the Balaamites and Nicolaitans, some church members in Pergamum had violated the freedom and grace they enjoyed in Christ. They had lapsed into a sinful accommodation with idolatry and immorality. The seriousness of the poor spiritual condition of some at Pergamum was underscored by Christ’s warning. He would fight against the heretics with the sword of his mouth (2:16). The mistakes of the Pergamum church are important lessons to all Christians who must struggle to keep their spiritual balance in a darkened world. Those who conquered in the Pergamum church – who didn’t fall prey to this heresy – were promised salvation under the metaphor of the “hidden manna” and “white stone with a new name” (2:17). Manna is another Old Testament symbol. It was the food God supernaturally supplied to the Israelites during their 40-year sojourn in the wilderness (Exodus 16:11-15). In Revelation the manna would refer to the spiritual food by which God gives life to his people. It is, like the fruit of the tree of life, a symbol of salvation and eternal life. The meaning of the white stone is less clear. Several interpretations are possible. That’s because stones were used in a variety of situations in ancient times. A white stone given to a person at the close of a trial meant he was acquitted of his crime. This symbolic meaning for the Christian is clear. Children of God have been exonerated of their sins through Christ’s cleansing sacrifice. It is through Jesus’ atoning blood that we freely receive our acquittal. The ideal of judicial judgment would also link the white stone to the “great white throne judgment” (20:11). This is a symbol of God’s final, just and merciful judgment on humanity. Stones also served as admission tickets to public festivals and assemblies. Metaphorically, this would mean the Christian had been granted admittance to the messianic feast at the Savior’s return (19:18-19). A white stone may also have represented a happy and momentous day for the Christian – the receiving of the ultimate reward of salvation. The English equivalent would be a “red letter day.” An interesting custom in Thrace was the marking of good days by a white stone (Pliny Natural History, 7.40.131; Plutarch: Life of Pericles 64; Pliny, Letters 6:11). God’s intervention in human affairs and the salvation of the church in the resurrection of the dead will be a wonderful and momentous time (Revelation 19:1-6). The color white is characteristic of Revelation. It speaks of white garments (3:5), white robes (7:9), white linen (19:8, 14), and the great white throne judgment (20:11). White, in these cases, represents a kind of spiritual purity. The meaning of the “new name” written on the white stone appears to have Old Testament roots (2:17). When speaking of Zion – a type of the church perfected – Isaiah repeated the promise of God to his people: “You will be called by a new name that the mouth of the Lord will bestow” (Isaiah 62:2). The new name represents a new status given to the individual by God. We see the custom in the Old Testament. Jacob becomes Israel (Genesis 32:28); Abram becomes Abraham (Genesis 17:5); Sarai becomes Sarah (Genesis 17:15). In the New Testament, Saul becomes Paul (Acts 13:9). The custom of giving a person a new name to go along with a new status was also found in the Roman world. Octavius became Augustus when he was crowned Roman emperor. For the Christian, the “new name” would have great spiritual significance. Christ will give the member a new status. He will be resurrected into the kingdom of God – with a new existence and unparalleled glory (Romans 8:18-21). The idea of newness in the “new name” is another theme in Revelation. We have a new Jerusalem (3:12; 21:2); a new heaven and earth (21:1); a new song (5:9; 14:3). And God says at the book’s end, “I am making everything new!” (21:5). The person pictured as speaking to the church in this letter identified himself as the Son of God (2:18). While this title is implied elsewhere in the book, it is used only here. Two closely allied titles from John’s vision in chapter 1 began the letter – the figure’s blazing eyes and feet that appear as burnished bronze (1:14-15). Christ praised the church for its love, faith, service and perseverance. The range of praise regarding Thyatira’s spiritual status was perhaps the widest given to any of the seven churches. It was the only church that is said to have improved its spiritual condition (2:19). However, the church did need admonishment on one vital issue. The church had tolerated the teachings of a false prophetess. She is introduced only by a metaphorical name – Jezebel. Her teaching is defined in the same way as the teaching of Balaam in the church at Pergamum (2:14). Jezebel, says Christ, “Misleads my servants into sexual immorality and the eating of food sacrificed to idols” (2:20). A parallel to the evil queen of Ahab was intended (1 Kings 16:29; 2 Kings 9:30). Both the original Jezebel and this unidentified prophetess threatened to destroy the true worship of God among his people. The original Jezebel’s sin was leading Israel into idolatry, but she was not accused in the Old Testament of leading a sexually immoral life. Rather, her sin was in teaching others to follow religious immorality and faithlessness to the Lord (2 Kings 9:22). This indicates that we can take the expressions of censure – “eating food sacrificed to idols” and “committing adultery” – in a figurative sense to mean idolatry. We should also be reminded that the Old Testament presented idolatry, apostasy and infidelity to God in terms of sexual metaphors – as sexual immorality, fornication, adultery and prostitution (Exodus 34:15,16; Deuteronomy 31:16; Jeremiah 3:6; Ezekiel 23:19; Hosea 9:1). John used adultery as a metaphor of idolatry elsewhere in Revelation (17:2; 18:3). In the church at Thyatira, this Jezebel probably counseled accommodation with the world. Robert H. Mounce says, “The fornication of which Jezebel was not willing to repent was her adulterous alliance with the pagan environment” (The Book of Revelation, p. 104). To be a member of a guild almost certainly would have meant participating in religious idolatry, immorality and debauchery. Thus, there is a dual meaning to the accusation that the Jezebel group practices “sexual immorality.” Revelation’s “Jezebel” (as well as “Balaam” and probably the Nicolaitans) suggested the Christian could be in agreement with the world and still be faithful to Christ. The Jezebel party probably would explain that “an idol is nothing at all in the world and that there is no God but one” (1 Corinthians 8:4). Participation in pagan worship was really a meaningless activity. They would have reasoned that believers did not need to hurt themselves economically by refusing to accept a few harmless requirements posed by trade guild membership. “Jezebel is to be counted amongst those to whom the claims of commercial success speak more loudly than the claims of Christ,” says William Barclay (The Revelation of John, volume 1, revised edition, p. 107). The Jezebel party apparently presented its teaching in strong theological wine, providing an excusing rationale that seemed to dispel any contrary arguments. Their theology is called “Satan’s so-called deep secrets” (2:24). This phrase is usually explained in two ways. It may be an ironic twist on Jezebel’s own claim. Her followers may have claimed to be more spiritually sophisticated. They may have distorted Paul’s teaching, claiming to understand God’s will more deeply than the “self-righteous” majority who thought it ungodly to pay homage to the emperor as a god and to engage in debauchery (1 Corinthians 8:4; Romans 14:17). But Revelation says that the Jezebel party is the one that has fallen into the depths of a spiritual pit Satan has dug. Another explanation for “Satan’s deep secrets” is that Jezebel, like the later Gnostics, taught that only by descending into the depths of evil could one appreciate the heights of God’s grace. Paul had argued against a similar idea in the church at Rome (Romans 6:1). A majority of the church at Thyatira did not buy Jezebel’s reasoning. However, the church still apparently allowed this group’s teaching to continue within its midst. It had the “Corinthian disease,” which tolerated sin in the church, possibly in the misguided interest of being big-minded (1 Corinthians 5:1-7). The issue has more than historical interest. It concerns us vitally. Says Leon Morris: “Every generation of Christians must face the question, ‘How far should I accept and adopt contemporary standards and practices?’ On the one hand, Christians must not deny the faith. On the other, they must not deny their membership of society” (Revelation, revised edition, p. 71). Christ had been patient, hoping for a change of heart in the Jezebel faction (2:21). But the group had refused to repent of their teachings. Thus, the moment of judgment had arrived. Jesus warned that he would cast the compromisers on “a bed of suffering…unless they repent” (2:22). The Greek word here is simply “bed.” The translators have caught the Old Testament idea behind being on a bed. It meant to be sick or injured (Exodus 21:18). To be cast on a bed would mean someone had inflicted suffering upon you. The Jezebel faction – if they remained unrepentant – would become an object lesson and be brought to justice. The fact that God is a God of justice as well as mercy – that being a Christian is serious business – would become evident to “all the churches” (2:23). Here is another indication that the message to each church applied to all seven. The majority at Thyatira who did not hold to this “gospel of expediency” was counseled to hold on to their spiritual understanding (2:24). They would have no other “burden” imposed on them. The church members at Thyatira were encouraged to continue in the faith – “until I come” (2:25). They were to be overcomers and do Christ’s will to the end. “This is the nearest we have in the seven letters to a definition of the conqueror,” says G. R. Beasley-Murray. “He holds fast the traditions of faith and life delivered to the Church til the coming of Christ (v. 25) and he keeps Christ’s works till the end (v. 26) – whether that ‘end’ be the Lord’s parousia or his own death” (Revelation, p. 93). The promise of salvation is described as “authority over the nations” (2:26). The overcomer will “rule them with an iron scepter” and “he will dash them to pieces like pottery” (2:27). These statements were taken from Psalm 2:9. Some scholars feel that the original wording gives a somewhat different meaning than the English. Ruling should be understood more in the sense of shepherding. Wielding an iron scepter should be seen more in the context of a shepherd’s staff or club, used firmly but with tender loving care. If so, there is still the problem of how to understand the companion phrase, “…he will dash them to pieces like pottery” (2:27). The sheep are given guidance; the enemies are shattered. Whatever the case, the meaning is clear: The now powerless church existing under human government will have power over the nations under Christ. The saints will inherit the earth, as Christ said (Matthew 5:55). And they would judge the world in whatever way that “judging” is to be understood (1 Corinthians 6:2). The church at Thyatira was also promised the “morning star” (2:28). Several explanations have been offered for this symbol. Perhaps Christ is in view here, if we are guided by his symbolic self-description at the end of Revelation: “I, Jesus…[am] the bright Morning Star” (22:16). To “have” Jesus as the Morning Star would mean to be in his glorious presence – to be with him. This would explain the promise that in the resurrection the saints glorified will be with Christ, wherever he is (John 14:3).